Brenner Children’s Hospital will be kicking off the Winston-Salem Open with its 5th Annual Brenner Kid’s Day on Saturday, August 22 from 9:30 - 1pm. 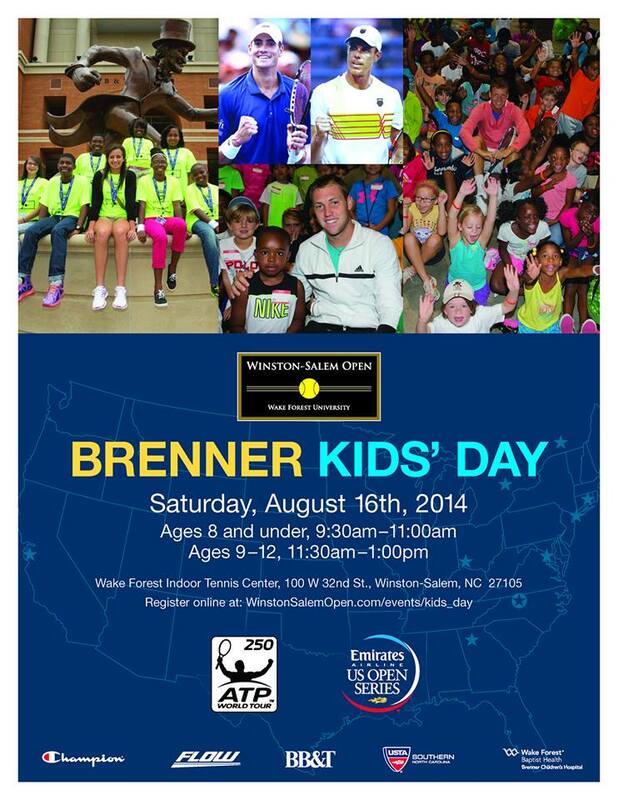 Brenner Children’s Hospital will be kicking off the Winston-Salem Open with its 5th Annual Brenner Kid’s Day. On Saturday, Aug. 22, the kids will hit the court for lots of excitement at the Wake Forest Tennis Complex. The day begins at 9:30 a.m. offering age-appropriate activities for children ages 6-8 years old until 11:00 a.m. Ages 9-12 will follow from 11:30 a.m. until 1:00 p.m. Chick-Fil-A of Thruway Shopping Center and Peace Haven Road will be serving lunch for all participants at the conclusion of the day. USTA North Carolina will be organizing the day’s activities. These activities will center around the fundamentals, skills and fun of tennis. Brenner Kid’s Day is offered and FREE to the public. “Bo,” the Winston-Salem Open’s Mascot, will be making an appearance along with other mascots.